‘Tis the time and the Season, so here’s some updated Imbolc-Candlemas inspiration to take you into this deeply creative, deeply Feminine time of the year. Imbolc-Candlemas is celebrated during the first few days of February, and the exact-point occurs when the Sun is at 15 degrees of Aquarius — February 3rd this year (check your own time zone for any variations). 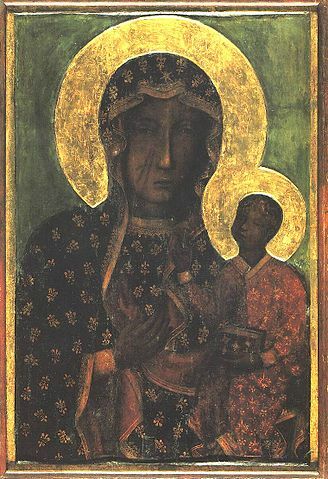 Lady of Częstochowa, another well-known Black Madonna located at the Jasna Góra Monastery in Częstochowa, Poland. Read the ‘Rilke & the Black Madonna’ post to learn more of her significance. Read on to stir your Divine Spark — and the Wise Guide and Keeper of the Flame that you may be, in your unique way and presence — in sync with the meaning of this season. If you’re in the Southern Hemisphere, you’ll be at the midpoint of Summer Solstice and Autumn Equinox, which is Lughnasadh. You can read about that here. 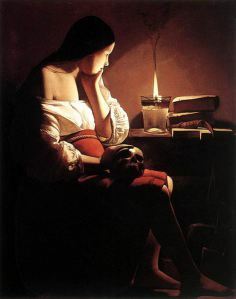 Even if you’re in Lughnasadh time, if you’ve got interests in the deep Feminine, the Black Madonna, and the associated gifts of deeper and awakening Wisdom, you’ll enjoy the Imbolc-Candlemas post for those goodies. For additional clues and insights on your role for these times, have a look at the current featured offerings or send me an email (info ‘at’ sophias-children ‘dot’ com). Big Love, Big Heart, Big Spark! Featured Image Credit: Aqua Sulis, Bath, England. Photo by your Sophia’s Children creatrix, Jamie Walters (that’d be me!). Link here if you use it, please. Featured image credit: Aqua Sulis, Bath, England. Photo by your Sophia’s Children creatrix, Jamie … moi. We enter into the Mysteries of Imbolc, Candlemas, or Fèill Bhrìghde. Imbolc or Fèill Bhrìghdewere some of the names given to this time of year by the Gaelic-Celtic ancestors, as they marked the midpoint between the Winter Solstice and Spring Equinox, and later is was called Candlemas or Fèill Brìghde. Other cultures and traditions celebrated and honored the turning of the Seasonal wheel by other names. I feel a special affinity for this time of year, since I was born at Imbolc-Candlemas, with Sirius and Orion visible in the Winter night sky.